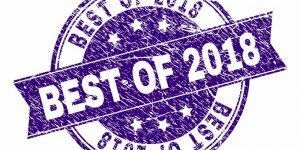 It is a well-known fact that Ottawa is one of Canada’s most attractive cities, both in terms of culture and in terms of real estate. 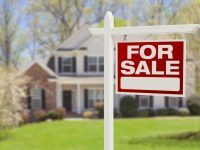 We are every bit as vibrant as Vancouver, but our real estate market makes Ottawa far more stable and livable. 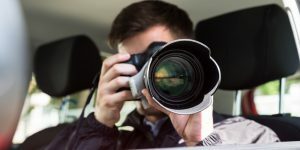 That doesn’t mean the Capital and its surroundings don’t have plenty of luxurious properties to showcase. 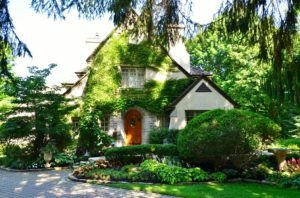 Most of Ottawa’s top 10 most expensive neighbourhoods are near the city center, finding renewed life as retreats for the affluent and famous, after century-long histories as enterprising communities scattered around the Capital. 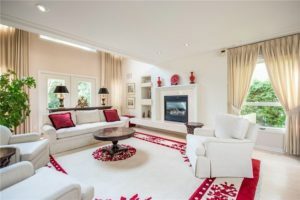 It is no surprise that the properties on our list are located mostly in boroughs such as Rockcliffe Park and Manotick, well known for their old-world vibe and for their stunning surroundings. The Glebe also has a prominent presence among Ottawa’s most elegant neighborhoods, as does Beacon Hill. 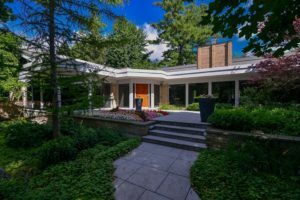 Without further ado, here are Ottawa’s top 10 most expensive homes on the market right now – fuel for dreams and reasons for pride. A stately English manor on a generous double lot, this home is simply vast. It boasts five bedrooms and eight baths, all decorated with impeccable good taste and with luxury in mind. 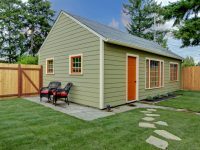 And if that weren’t enough, the property also includes a separate guest house. 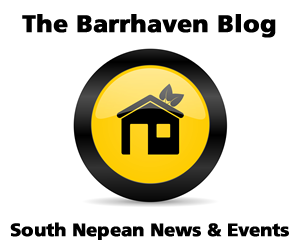 Without a doubt, one of the jewels of Rockcliffe Park – the neighbourhood of ambassadors and Ottawa notables. 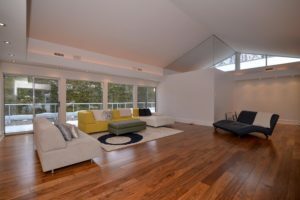 Designed by Barry Hobin and renovated by a stellar team of international interior designers, this property is without a doubt one of the most striking in the Ottawa region. 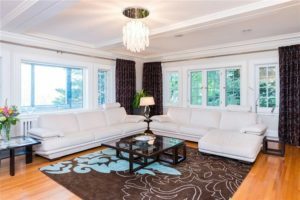 Overlooking the Ottawa River and the Gatineau Hills, this home offers five bedrooms and six bathrooms, not to mention the glass-walled wine room and the pool. The feeling of utmost luxury is completed by the large gardens, a fitness room and a triple garage. 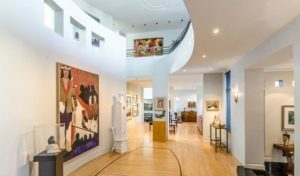 This spacious home is a rarity in The Glebe’s real estate market, as houses as large and exclusive as this are rarely offered for sale there. 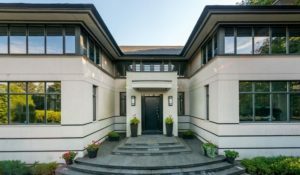 With five bedrooms and eight baths distributed over three floors, the mansion has an internal elevator and a separate guest apartment with a private entrance. The 52-foot pool, hot tub, sauna and lavish master suite highlight the property as being simply breathtaking. 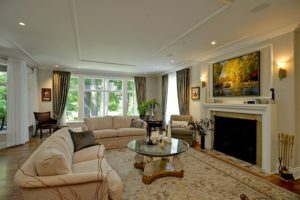 An iconic property in Rockcliffe Village, this estate served as the United States ministerial residence for 58 years before being lovingly renovated to state-of-the-art standards by its current owners. Surrounded by spectacular gardens and with an aura of old world charm, this mansion is brimming with history. It even hosted Paul Newman and Joanne Woodward in the film “Mr. and Mrs. Bridges”! The bragging rights are peerless. 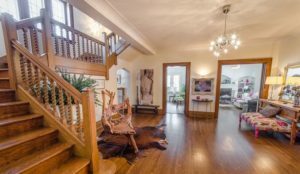 One of the most imposing homes in Manotick, this mansion dominates its surroundings from an elevated lot of land. Uncompromising in the pursuit of luxury, it boasts a gourmet kitchen, lush gardens dotted with fountains, a large salt water swimming pool, a movie theatre and two granite bars, not to mention the five bedrooms and seven baths. The modern architectural design of this home is its most striking feature. So much so that it has won it the GOHBA Housing and Design Award for homes over 6,000 sq. ft. 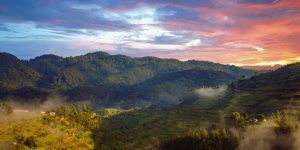 In addition to the instant thrill the property brings any discerning viewer, it has the advantage of being very private, allowing nature to embrace the property thoroughly. 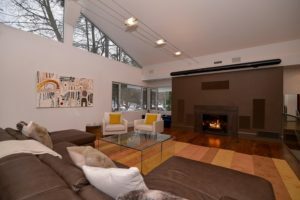 Inside, it is designed for pampering comfort, from heated floors to a home theatre room. This is a thoroughly modern and carefully designed bungalow with five bedrooms, six baths and an indoor pool. 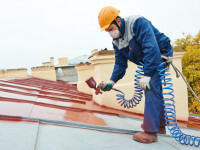 With approximately 8,000 sq. ft. of space, this home offers every luxury and is furnished with fantastic finishes throughout, including a large balcony which opens up towards a picturesque pond. Another reminder of the Rockcliffe Park standard of excellence. 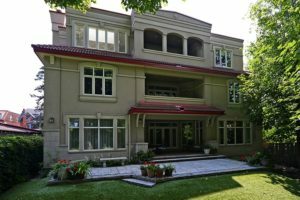 Built entirely out of stone and positioned in such a way as to offer beautiful views of Lake McKay, this luxurious property has been fascinating onlookers since 1929. Of course, it has been renovated to the most modern standards and now offers a fitness room, sauna and all the expected accoutrements. However, its charm still lies in the tasteful architectural features and the breathtaking views from within. 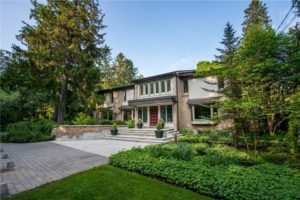 Another contemporary architectural triumph standing out between the stately mansions of Rockcliffe Park, this estate is influenced strongly by the Art Deco style. Vast open spaces, high ceilings and amazing amenities make this home as desirable as it is expensive. The perfect family retreat, this well-maintained home has generous outdoor spaces for children to enjoy and parents to relax in. Featuring great privacy among mature trees, a salt water pool and a full-fledged playground, the surroundings of this home are every bit as lavish as the interiors. 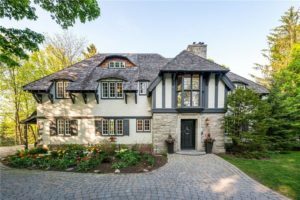 Most of these homes are concentrated in Rockcliffe Park, but there are nine other postal codes in the greater Ottawa area which boast similar luxury real estate. 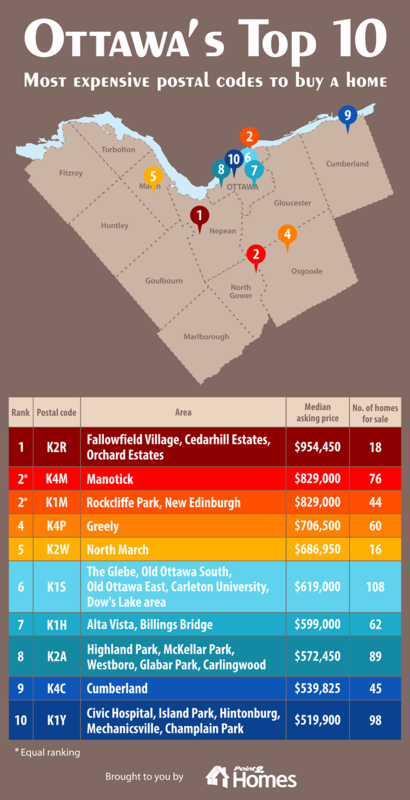 You’ve already seen a few of the most prominent ones, now get the full picture with this map of the top ten most expensive zip codes in Ottawa. Do these homes make you dream and crave for more? 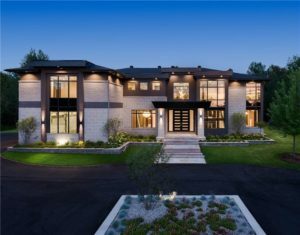 Point2 Homes showcases many such examples of luxury real estate in Ontario and the rest of Canada. Point2 Homes is a leading consumer property search portal offering neighborhood-based search and rich listings content throughout Canada.